Monday, April 8, 2013 Do you own a garden? What do you grow? I do have flower gardens though....nothing grand. Thankfully, the flower gardens were already in place when we moved to our house. I like to believe I am a gardener. Reality however doesn't always cooperate. But one day; one day I will grow into a gardener. 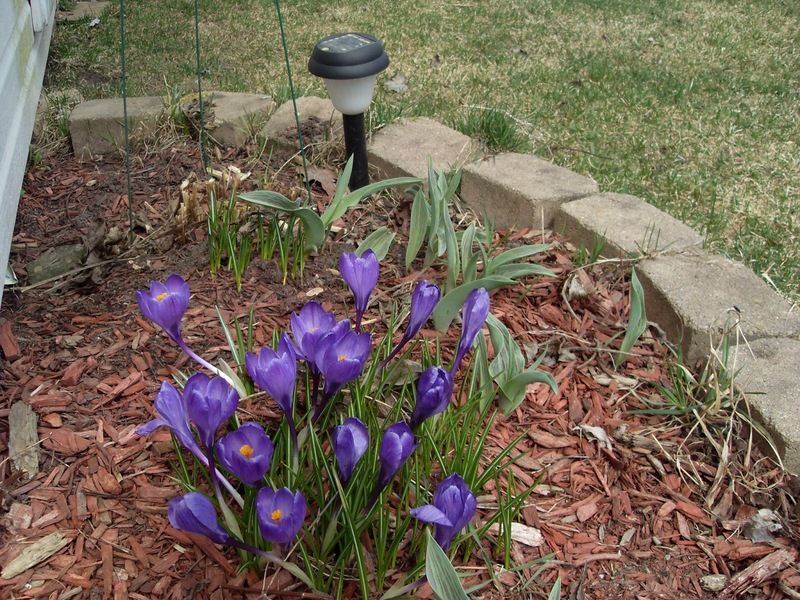 I can always count on my crocuses and daffodils to come back year after year. I can't wait for them to show up again this year. 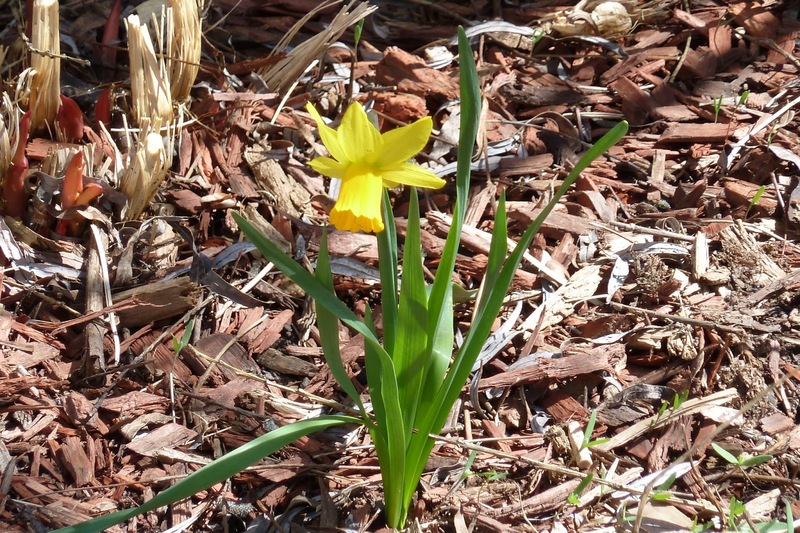 They are right now starting to pop out of the ground. 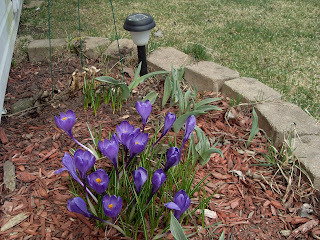 But these pictures remind me of the beauty that will dot my gardens each spring. Love the bulbs popping up! I have a few just coming up now as well. I used to have a full veggie garden on the side of my house. Loved it, but it was a ton of work. My late hubby worked nights so he did most of the hard work during the day before he went to work. I tried to keep it up after he passed (did it for 2 years after) but it became a "chore" so then it was not fun. I laid grass seed down after that. Last year I really missed my tomatoes and peppers and herbs, so I did them in large pots and it was GREAT and easy. So I am sure I will be doing the same this year. Nothing better than fresh herbs at my fingertips.